Want to find out if virtual accounting or outsourcing works? Accounting is an essential part of businesses of all types and sizes. Hiring an in-house accounting department can be expensive. It requires huge overhead cost in terms of office space, equipment, supplies, utilities, employee benefits, paid holidays, health cards, insurance premiums, and all other perks. Moreover, hiring and training accounting staff can consume much of your time. 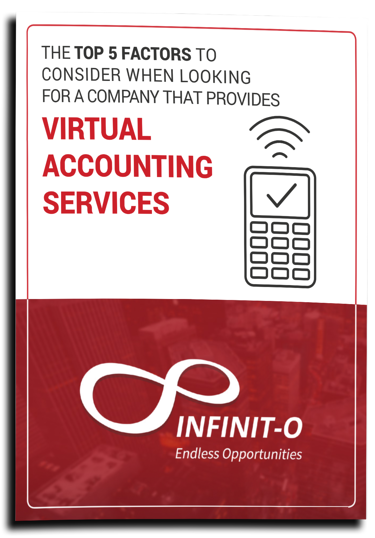 Infinit-O Global is a global solutions company, incorporated in 2005 in the Philippines; that provides valuable services to small and medium businesses across the globe. We serve a number of industries where we have developed deep domain expertise including technology, healthcare, and financial services.